I think every Australian has a favorite beach…… From bringing back childhood memories to best surfing wave EVER in living memory, we all have a special one…… or two. And must admit that we definitely are the lucky country when we talk about beaches. From spectacular cliffs, roaring swells, white as milk sand, turquoise waters, the Australian beaches can be declined in many forms. What is a “tropical” beach? I have been lucky to visit and live near an incredible number of beaches in Australia and though I share a bit of my knowledge with you. I believe that there are some definite jewels out there that deserve your consideration when planning a trip in your own backyard. Whether you like a bit of luxury and action or deserted stretches of sand, there is something for everyone. There is quite a lot of variety, but what makes an amazing tropical beach? 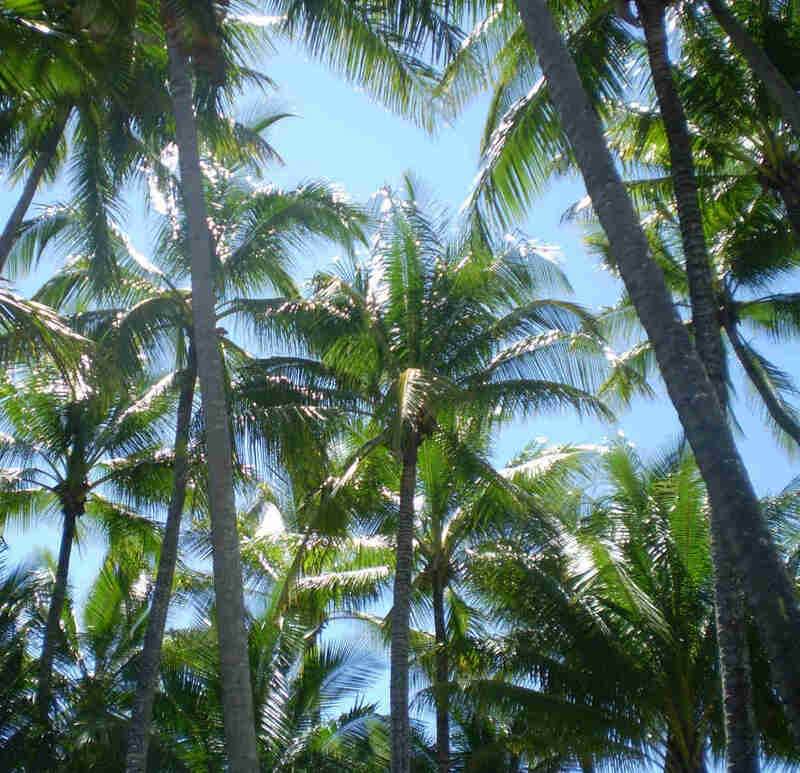 • and green, lots of green….. with palm trees and tropical vegetation (dare I say, not sub-tropical – sorry Noosa, love you though….). I think most beaches in Australia would qualify hands down for the first two or three criteria but the last one…. Greenery and topical vegetation….. that is a bit of a hard find in a country best known for its recurring droughts. To be honest, there are some amazing beaches with sand as white as snow and water as transparent as a glass but bare in vegetation….. I remember travelling in northern Western Australia, driving and driving in the red dessert and then boom! Suddenly, white dunes and the most amazing transparent water plus a stunning reef a few meters from the beach . But near no vegetation. … green was not part of the local colour palette …. So although, one the most unique beach I ever been to…. I have not included it in this list…. 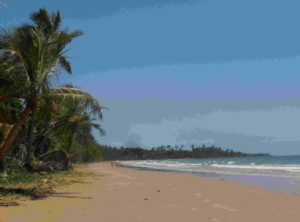 Back to the main point….. amazing TROPICAL beaches, according to me (no affiliate links and photos from yours truly) ! Green, green, and green. If you like lush jungles then you are in for a treat. 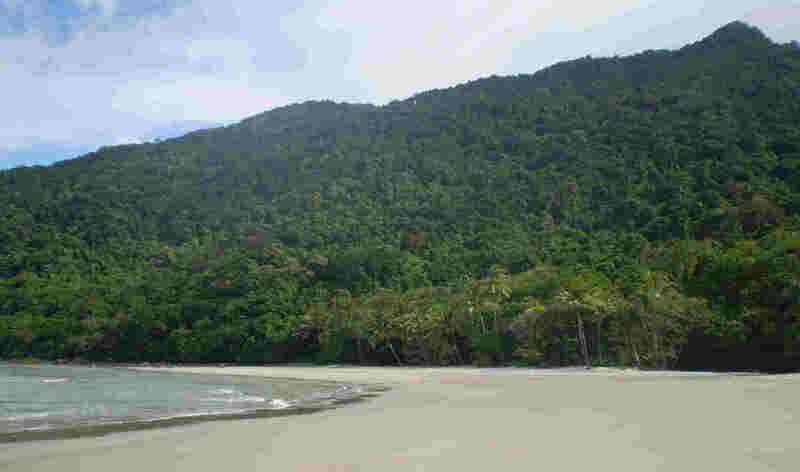 The Daintree forest is the oldest remaining tropical forest in the world (yes older than the Amazon). It will satisfy your need for tropical green. 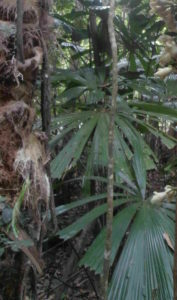 Don’t miss the spectacular native fan palm which is uniquely Australian. 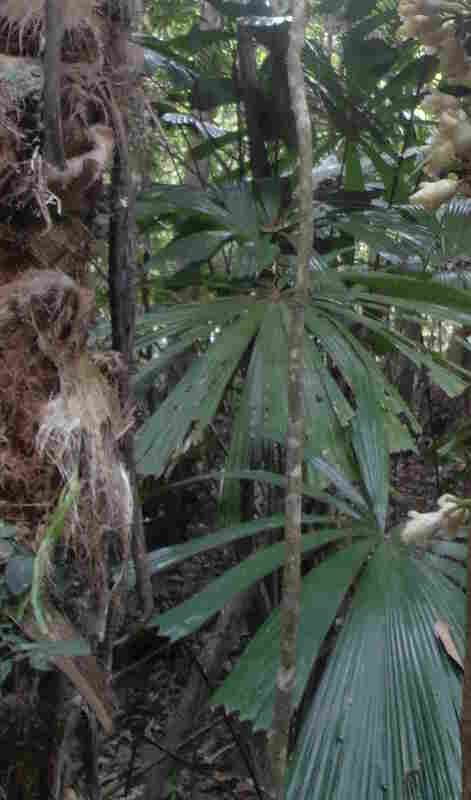 In fact, the Daintree forest is a World Heritage site and is home to incomparable flora and fauna – just like it’s neighbour, the Great Barrier or Reef. The mountain backdrop from the beach is stunning, the water is inviting and the sand is golden. Bonus, if you like kilometres of deserted beach, with not a soul in sight, then this location will make you as happy as Larry. Yes! 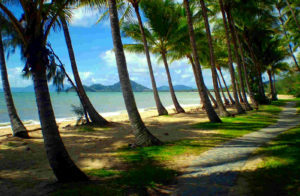 Palm Cove has palm trees. Ok, I have to say, palm trees, as we picture them, are not native to the area (well ,I will not get into a botanical debate here) but still….. We like the look. What I like about Palm Cove is that the numerous hotels, restaurants and shops are low key and the foreshore and buildings are well integrated. It creates quite a cosy and laid back atmosphere where you can sit in a terrace, sip a cocktail and overlook one of the finest beach in Australia. Also, Palm Cove has self-proclaimed itself spa capital of Australia, so you can enjoy a massage to the sound of the ocean….. Not bad, if you want to enjoy some luxury. If you wish to go there, there are plenty of hotels and restaurants to choose from but it can be a bit expensive. If you need more accommodation choice, Cairns is not too far and you can rent a car and make it a day trip. If you have time, you can rent a car and drive to Port Douglas. The picturesque winding road is an attraction by itself and you will find many look outs to stop at as well as beaches to discover on the way. 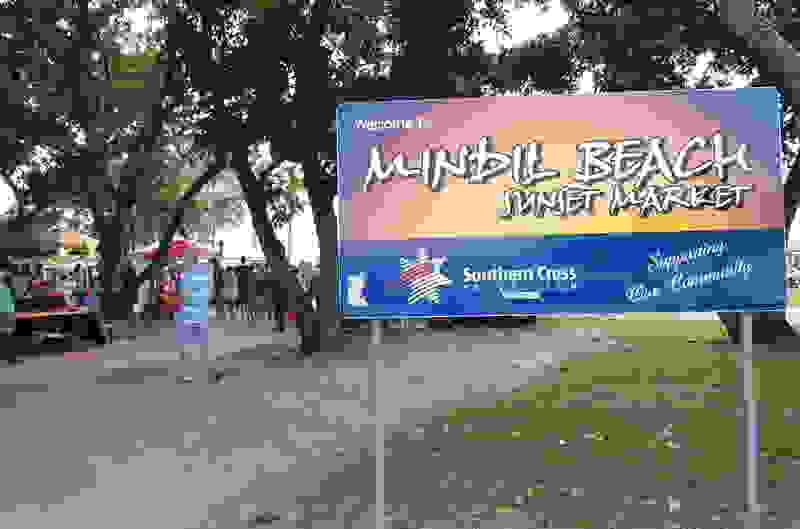 Also known for the Mindil Markets, which are the biggest food, arts and craft outdoor markets in the area. Join the locals, raid the food stalls and have a pick nick on the beach where you can admire the stunning sunset over the ocean horizon….. Just magical. 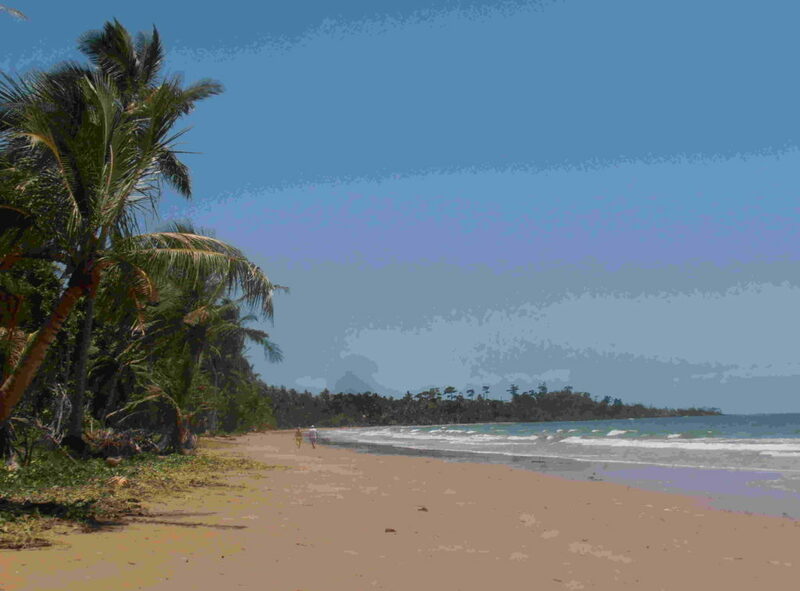 During the day, when there is less people, you can enjoy the beach and the palm tree lined dunes. 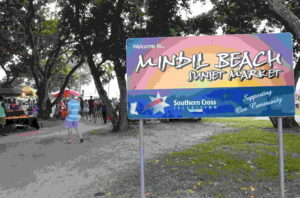 Mindil Markets occur only during the dry season. There are plenty of hotels in Darwin and surrounds. Catseye beach is the main beach on Hamilton Island. A family friendly, water sports lover, palm tree lined beach. You can rent: paddle boards, kayaks, wind surf, little catamarans, snorkeling equipment for your joyful family entertainment or romantic getaway. If you are not keen on the ocean or have small children then there are swimming pools a few meters away with deck bars. From the beach, you can admire Whitsunday Island and the turquoise ocean. Turtles and Manta Rays are a frequent sight. The view from the hotels rooms and apartments opposite the beach is phenomenal and honestly unbeatable. Hamilton island is accessible by plane from major Australian cities or by ferry from Airlie Beach. Last but not least. A tranquil little coastal town where you can admire one of the strangest big birds on earth: The cassowary. 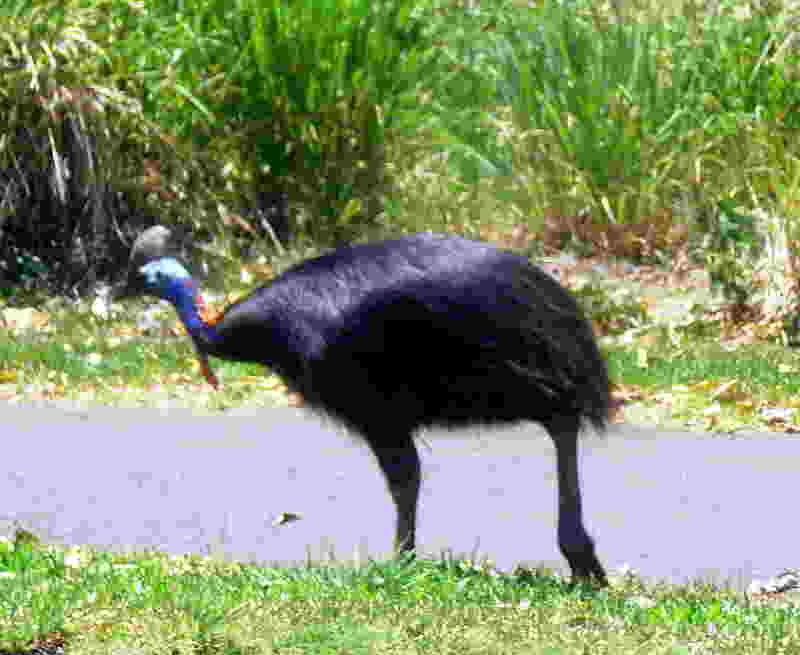 It is a bizarre vulnerable species of fruit eating “emu “ or “ostrich” – like -stature, and it roams free in the area. Quite unique in the world. The beach is an endless stretch of golden sand. If you like to walk and walk…. Just enjoy….. Peaceful and inimitable. Have a rest and enjoy the tropical greenery outlook from the beach. You will not be disappointed. Feel relaxed in a split second. Just walk and swim…. Best to drive there from Cairns or Townsville. Ideal to reconnect with nature. As for most tropical areas, the climate is divided between the wet and dry season. Best time to visit is during the dry season which is April to October if you want to maximise your chances of pleasant weather and avoid stingers. There are still plenty of nice days during the wet season but you need to know that drenching rains are more frequent on the radar and that swimming is restricted to stinger nets and pools (a stinger suit is necessary otherwise). On this note, I have been living in the tropics for many years and love it. Even the wet season….. You can still get stunning days. 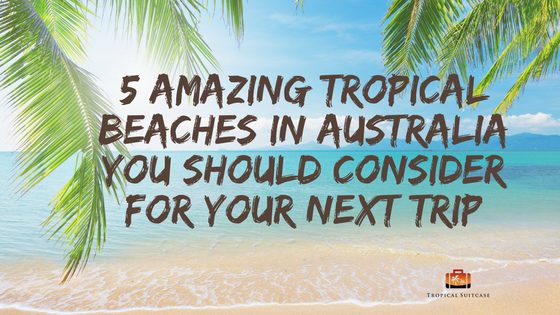 Hope that you will consider my recommendations for your next trip and that you will share my love for Australian tropical beaches…. And if you end up deciding to go on a tropical trip, be prepared by downloading my PACKING CHECKLIST….. It is an interactive Excel spreadsheet that will allow you to plan your trip in the sun…. Here at Tropical Suitcase, we love tropical living and we invite you to join us , explore the world and plunge into your suitcase…… what is in it? You could be in for a surprise! Start by checking out our WEBSITE or visit us on FACEBOOK. Go on find your favorite beach. Explore it and make sure you only leave steps in the sands and smiles on people’s face. Copyright © 2019 Tropical Suitcase. Theme: Himalayas by ThemeGrill. Powered by WordPress.